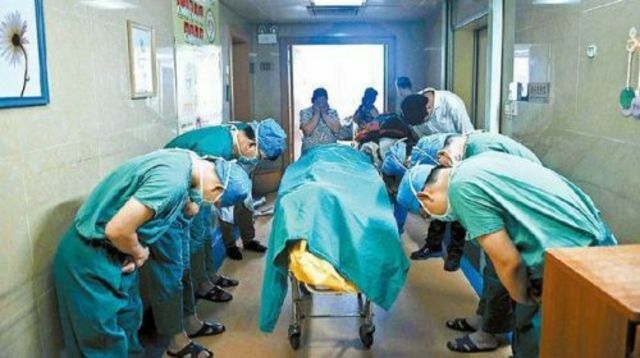 An 11-year-old Chinese boy who suffered from a brain tumor decided to donate his organs to others in need while he was on his death bed. Liang Yaoyi from Shenzhen had reportedly wanted to be a doctor when he grew up and thought donating his organs would be the best path, according to CCTVnews.com. His family members were apparently concerned with the decision initially, but they ultimately wanted to fulfill Yaoyi’s last request. When doctors wheeled him out of the operating room, they stopped to bow to him. Within eight hours, the child’s organs were used to help others. Some Chinese individuals were inspired by Yaoyi’s actions and went on Sina Weibo, a Chinese blogging website, to share their thoughts about it. “I am a parent myself, I can strongly sense his mother’s pain at heart. My highest respect to the child and his respectable mother,” posted one person who is identified as @Liuyunxianmo.